Becca & Ben! How sweet is this first picture! 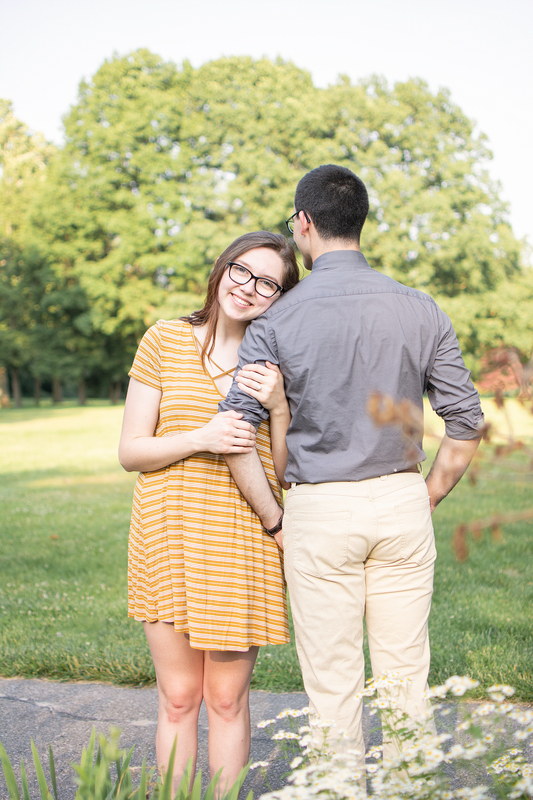 I already can't wait for their wedding just from engagement photos! My favorites from this session will be here! But I'm so thankful to be working with such a sweet, laid back, but fun and upbeat couple. These two are so fun to work with! They're so close & can tell they're friends as well, and that's special. So, let's learn about them! 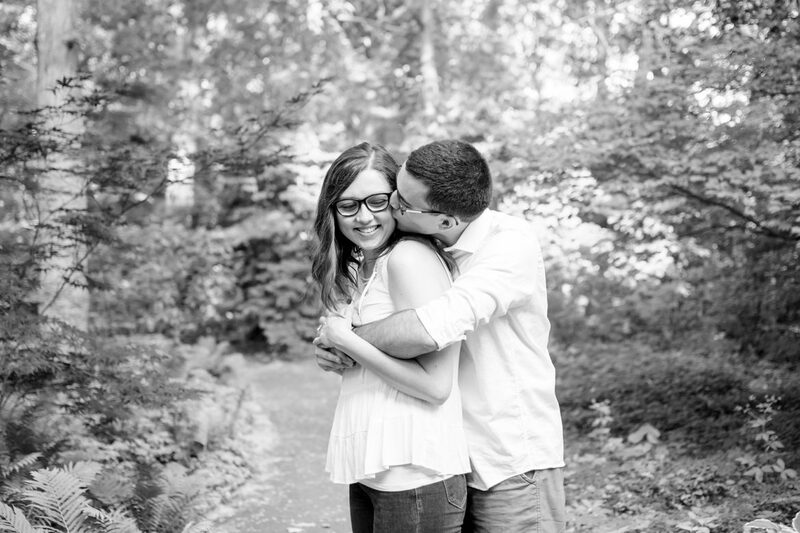 & see some pretty engagement pics! 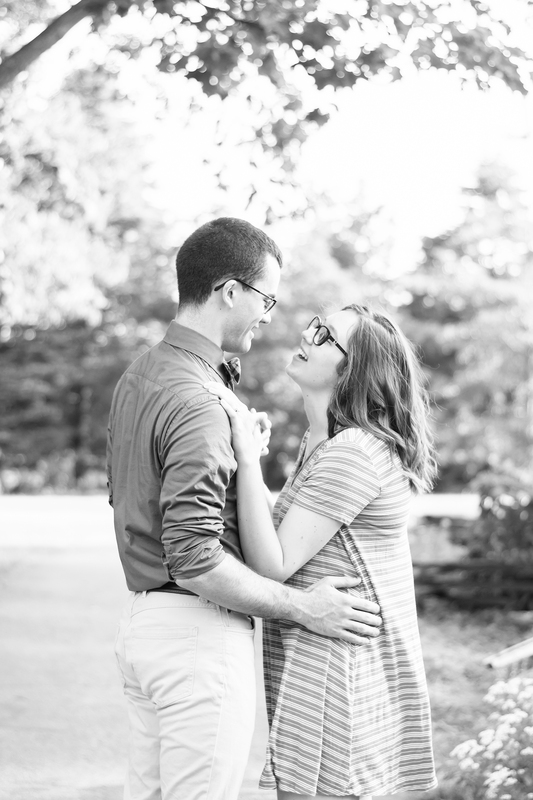 Becca & Ben met when they were students at BGSU. They both attended the same church, had similar circles of friends, and were both involved in a Christian student organization called Cru. They had known each other for about 3 years and built a solid friendship before a relationship. And you can tell. They're so in sync, they were so sweet with each other, and had fun the whole time. 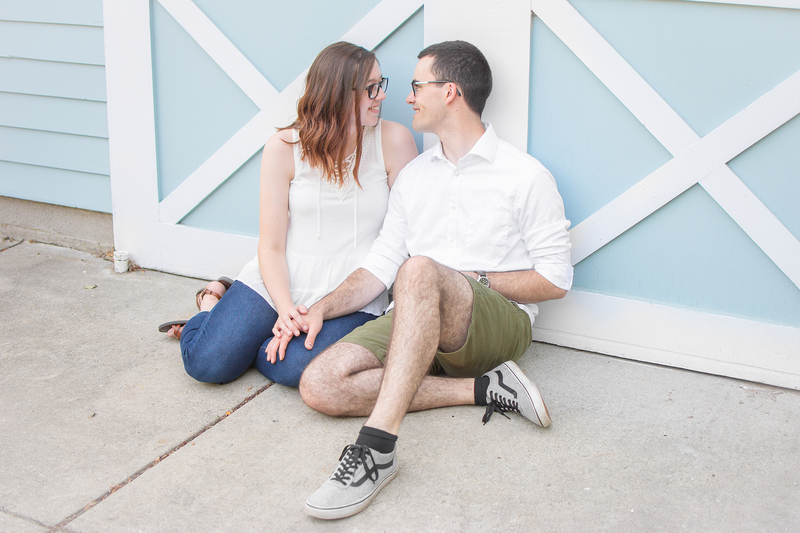 These two have been dating since October 2017, and got engaged in March of this year! But they had that friendship to build off of, and knew! 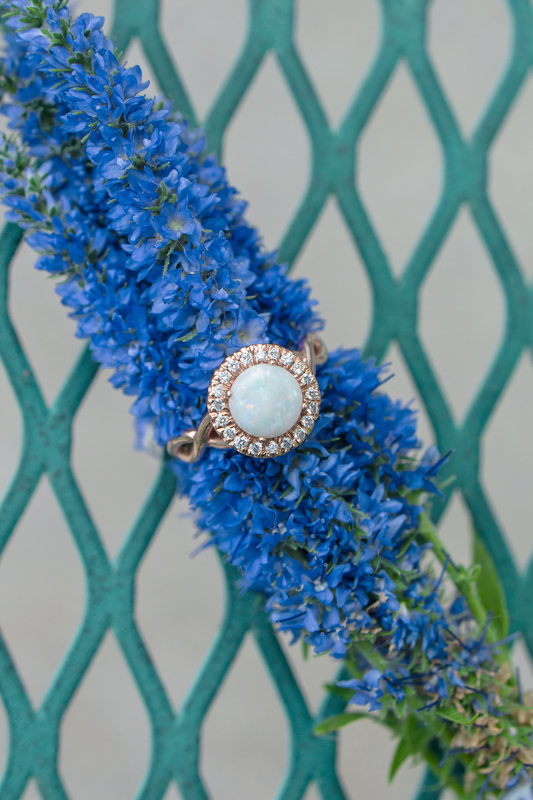 I could GUSH over this custom rose gold halo with diamonds and beautiful opal stone ALL DAY. GOOD JOB BEN! These two frequent a coffee shop called Grounds for Thought where they would typically do puzzles together. On the evening of March 2nd, 2018, Ben asked Becca if she wanted to go to Grounds for Thought to work on a puzzle. She of course said yes, that being one of her favorite things to do with Ben! When they arrived at the coffee shop, they found a puzzle to work on. When they were close to finishing the puzzle, Becca noticed a piece was missing. She began to look around the table and the floor for the piece, but couldn't find it. She then opened the puzzle box to find a piece of the puzzle taped to the inside of the box with the words "Will you marry me?" written underneath. Becca then turned to Ben who was down on one knee awaiting her reply. Becca's response to Ben was simply, "You already know what my answer is!" and Ben proceeded to put the ring on her finger. The couple then continued to finish working on the puzzle and Ben told Becca how he pulled the whole thing off. Ben had gone into Grounds for Thought a couple days before and got the baristas in on his plan. The baristas were very excited to be involved with the proposal! They agreed to put Ben's puzzle out the day before so other people could get the majority of it done before Becca and Ben arrived to finish it off. 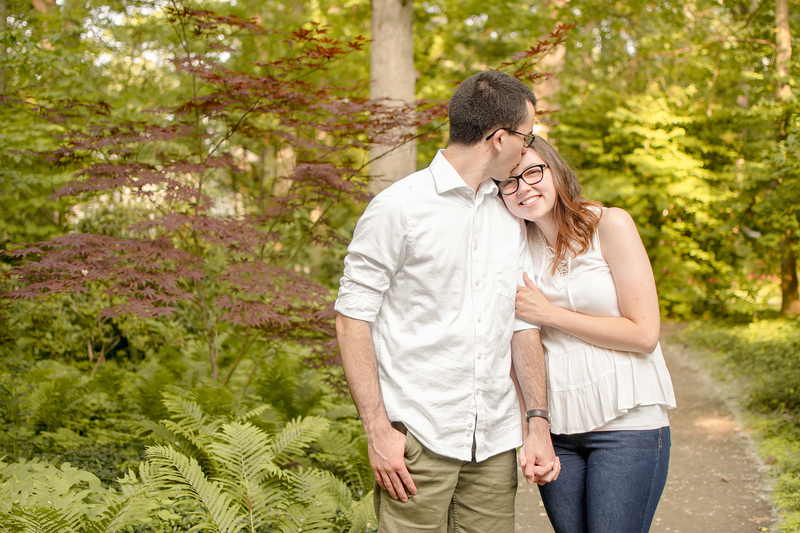 Ben and Becca spent the rest of that evening with friends, overjoyed to be engaged! They are now so excited to get to spend the rest of their lives together. They cannot wait to see where God takes them and to celebrate their covenant on August 11th! 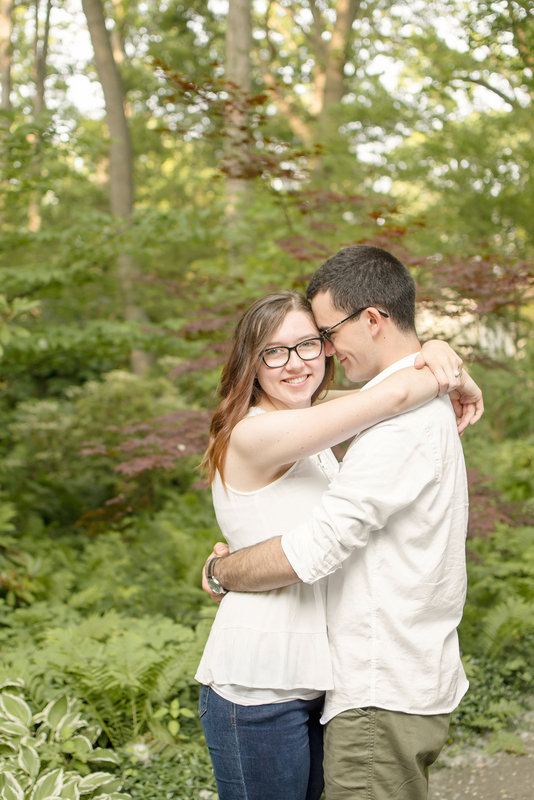 Becca & Ben really enjoy playing games together; board games, card games, video games, and a lot of outdoor games too. They are both pretty competitive people so playing games is pretty fun. They both have fun being outdoors together. They love to hike together, go camping, have bonfires, lay in hammocks together, and just exploring nature. They also like to cook and bake together. 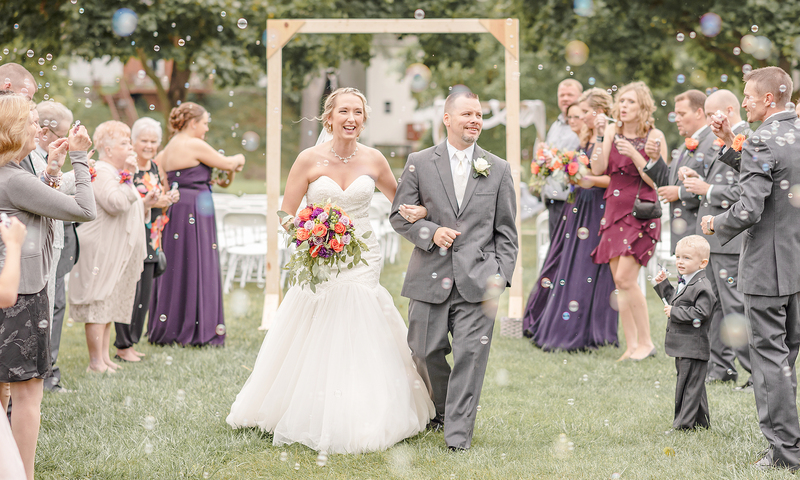 Welcome to the Lindsay Adkins Photography wedding family!